by Tarek N. Saadawi, Louis H. Jordan Jr. 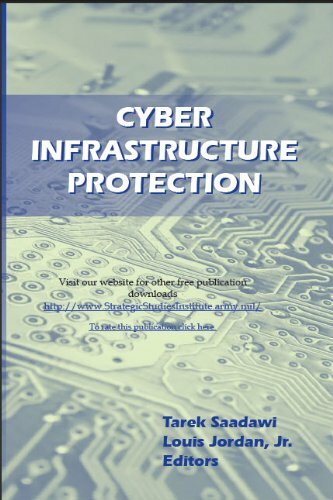 This book provides an integrated view and a comprehensive framework of the various issues relating to cyber infrastructure protection. It provides the foundation for long-term policy development, a roadmap for cyber security, and an analysis of technology challenges that impede cyber infrastructure protection. The author lays the groundwork on how to build a secure and dependable system. Every security aspect is discussed: passwords, access control, attacks, physical security and policy, information warfare, privacy protection, and more.